Like to use it to keep screens clean and take off dust bunnies, bugs and anythintg stuck on screen. SOFT AND STRONG? IT MAKES SENSE! The screen-brush is amazing! It's so soft to the touch yet it's strong enough to clean those nasty winter-ized screens. Dunk in liquid application, paint it on, rinse it. It makes "washing windows and screens" faster and no where near the dread before using it the very first time! Useful, handy and anyone at home can use it to help out! I got this to even out our screens where our cat decided to play jungle gym. It doesn't work for that - fingernails and patience work better for that purpose. Its bristles are too soft to push the screen wires back into place. However, it does seem to do a nice job dusting the screens. You need to clean both sides of the screen for full effectiveness. For a lot of screen work, it would be small, but for a casual job here or there, it's very hand to have around. The handle needs to be able to screw onto a long handle and the brush needs to be held in by a spring or something sturdier than just two prongs. The size of the bristles are just right and it does a good job. I just don't believe it would last long with alot of use. I was disappointed with this screen cleaner because it did not work. The bristles did not do the job of cleaning my screens. The product material is very flimsy so I returned it. Brush head keeps falling out of handle when you roll it on screens. Lightweight,on first use fell apart. Very disappointed in this item! Don't waste your money on this item! This is a great idea, however it fell short because the bristles are neither plentiful, nor strong enough to get the cottonwood seed and other stuff off the screens. Best thing I have found to clean screens, without water and soap, is my vacuum cleaner. Pick it up and casually shake it. The brush becomes detached from the handle. USE the brush, and ANY pressure exerted makes the handle detach. Using just the brush (without handle) to brush screens does work, maybe a 7 on scale of 1 - 10. 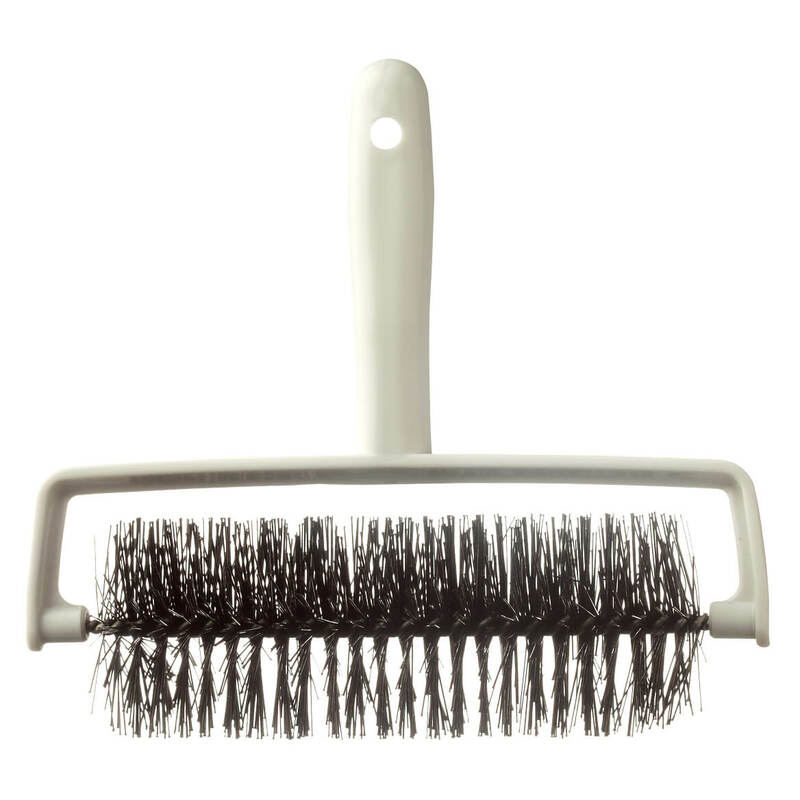 But handling the brush directly bends the bristles. Not worth buying. This brush/roller fell apart the very first time I tried to use it. This product may work for the old metal screens, but it removed the color from the newer synthetic screens. This was on clearance so I hope it works. To clean my screens, of course. Regular brush did not work. Hubby wants to clean up all the screens and saw this and asked me to order it. So I did! Maybe my screens will look alot cleaner. because they really work well in cleaning the screens. Have been looking for this kind of brush. Now I am all set. sounds like a great tool and MK has the best "gadgets" around so I'm hoping it works as well as it sounds like it will. I have a screened in lanai and screened in pool cage. anything to make it easier to clean all those screens would be appreciated. Can't find one anywhere else. 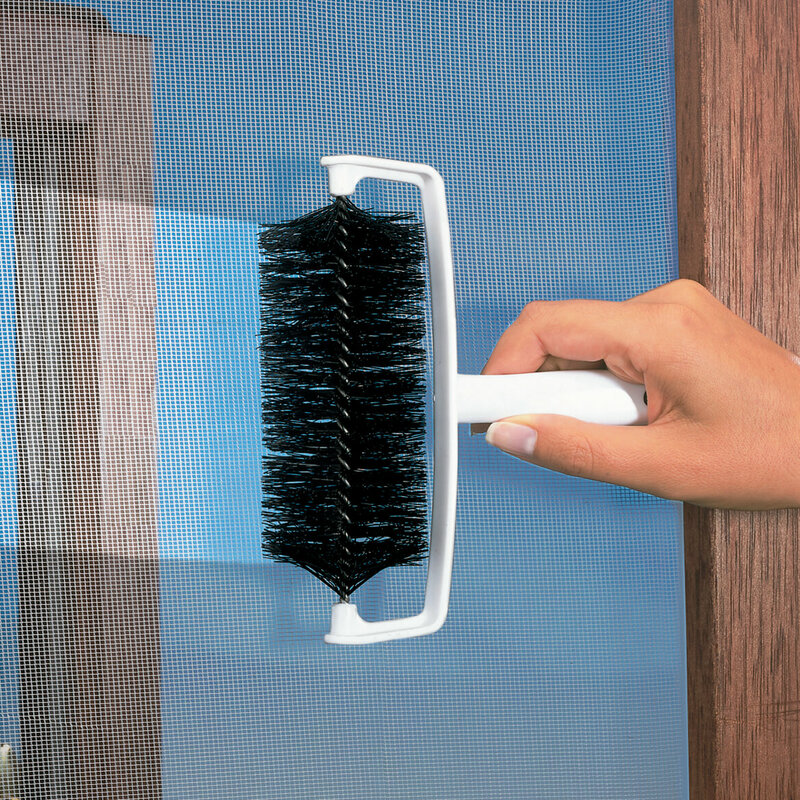 Want a cleaning brush that I can use on exterior screens. Windows high to clean outside. This I can do from inside. I want to be able to clean screens. I have some dirty screens, don't you? SCREENS ARE VERY AWKWARD TO CLEAN, I'M HOPING THIS PRODUCT WILL MAKE IT AN EASIER PROCESS.